Egypt is seeking to establish a longitudinal railway axes to link Egypt and Africa, in conjunction with Egypt taking over the presidency of the African Union in 2019, Minister of Transport Hisham Arafat said. Arafat added that his country is very interested in the occasional axes on the Nile because it contributes to a qualitative shift of axes in Upper Egypt and the establishment of new urban cities and new agricultural projects. Arafat said on the sidelines of his visit to the governorate of Aswan on Monday, that this interest in Nile axes comes under the Ministry of Transport’s plans, such as attention to logistics axes. He noted that Kobri Kalabsha is a bridge that not only passes the Nile; it includes six axes linking the railway at east of the Nile with desert roads at west of the Nile. The Kalabsha Bridge is due to open on June 30, and the implementation rate in the Kalabsha bridge has reached 75 percent, the minister stated. Regarding the linkage of the railway project between Egypt and Sudan, Arafat said that the project is an idea that has been called for by President Abdel Fattah al-Sisi for some time, to serve the transport of goods from the port of Alexandria to Sudan via Aswan depending on the railway axis. He stressed that the link between the two countries will ensure the arrival of Egyptian products, goods and meat to Sudan and Africa and vice versa, especially after the success of a land link with Sudan through the ports of Qustal and Arqin land, which were opened in 2014. 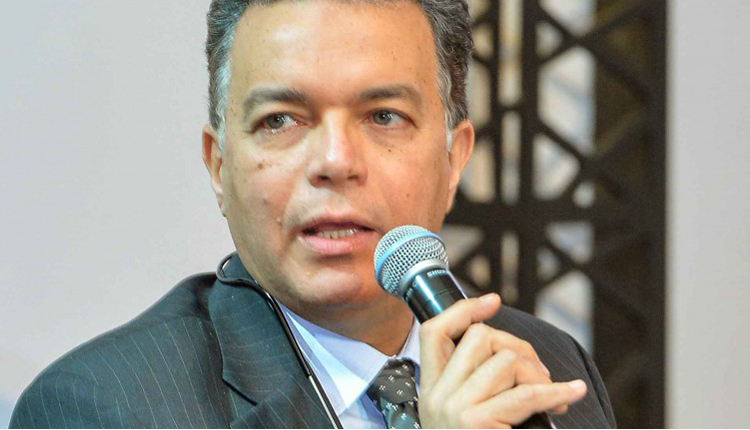 He pointed out that an Egyptian-Sudanese committee had been formed after bilateral talks between the two ministries of transportation in both countries to agree on some terms of reference to be put on consultants to determine the most appropriate means of linking, whether the current railway or the establishment of a new line. Arafat denied rumors about the increase in the prices of railway tickets in January, describing them as inaccurate and pointing out that if there is any increase, it will be announced at a press conference and he would explain the reasons for this. Egypt’s non-oil private sector activity slows slightly in Oct.